Gives your suit the same protection your suit gives you. WP Hanger is a specially designed hanger that ensures that your wet suit or drysuit always has the same fit. 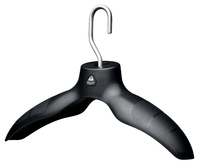 WP hanger has a large solid hook that ensures that your divesuit during cleaning, drying and storage when not in use.